The Costa Maya cruise port carries the distinction of being of few locations along lines commonly traveled by Western Caribbean cruises that was set up exclusively for boat boarded tourists. As such, it is a small and quaint area with emphasis on touristy type attractions that are focused on the natural features of this southern portion of Mexico. Costa Maya excursions bridge both land and water and include historical sightseeing, adrenaline pumping adventure and more than one way to lazily bask in the area’s natural beauty. We have compiled a list of the top ten things to do in Costa Maya to ensure that anyone thinking about staying on board the ship and passing up this prime destination will think again! 1. Mayan Ruin Tours: Like many other parts of Mexico, one of the biggest draws to the Costa Maya cruise port are the opportunities to witness some of the historical artifacts left behind by the once great Mayan civilization. One very popular ancient Mayan destination is the Chacchoben ruins, which feature immense structures (including those boasting those tell tale climbing stairs) and intricate carvings and figures that provide clues about the history of an entire society of people. The trip to get there is exciting as well, taking passengers through about an hour worth of exotic landscape and mangrove wetlands. Another one is even more remote Dzibanche ruins, they are recommended ONLY if your cruise ship stops for 8 hours or more at this port. Cruises to Costa Maya should include a trip to some of the local ruins if possible, some that are incredibly awe inspiring. 2. Scuba Diving: Much of the water around the country of Mexico is well known for scuba diving as the area houses one of the most diverse and exquisite underwater eco systems on the planet. 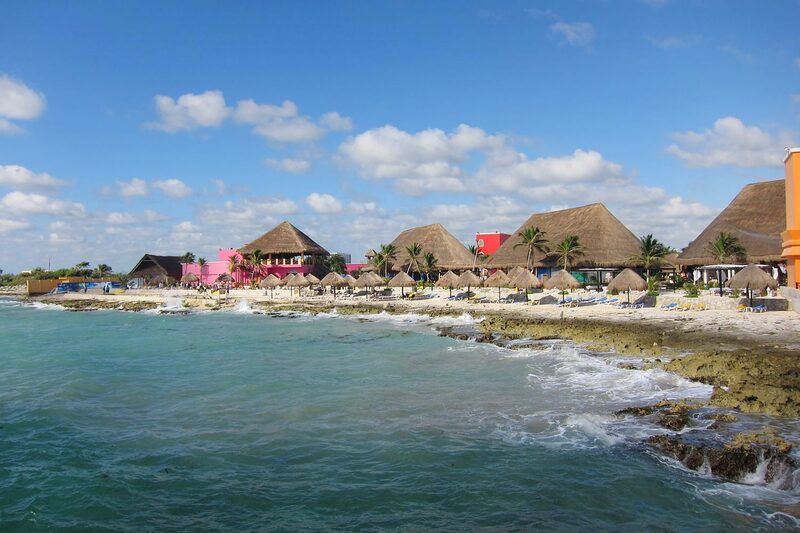 Hence, opportunities to dive deep in the waters surrounding the Costa Maya cruise port are abundant. Given the locale’s tourist based location, instructors and operators are trained professionals, and many of them are bilingual. 3. Snorkeling: For anyone not quite ready to take the plunge and head down deep in the tropical azure waters off the coast of Mexico, snorkeling provides a less intimidating way to get wet and explore life below. Snorkeling is by far and away one of the most popular activities in the Costa Maya cruise port because it is well suited for people of a wide range of ages and experience levels. The slow moving adventure can even be spiced up a bit with motorized cannons used to propel snorkelers ahead at faster speeds underwater, a service offered by some excursions in the area. 4. Yoga: Yoga may be an activity that some people do when they are not on one of the best beach vacations that they will ever take, but perhaps that is what makes yoga such a unique experience in Costa Maya. The soothing surrounding atmosphere combined with a breezy yet beachy climate make Costa Maya an exceptional place to relax, stretch and get in touch with nature. Yoga can provide stress relief after a long day of crowd battling on big ships and is a great way to kill time while waiting to head back to the Costa Maya cruise port. 5. Stand Up Paddling: It is just what it sounds like, paddling your way along while standing on a surfboard like contraption. Stand up paddling provides the sensation of walking on water and a greater sense of mobility while navigating around the eerily hued lagoon. Water sports are not uncommon at many of the port stops along Mexico cruises, but stand up paddling in the gentle and calm waters around Costa Maya is truly a unique experience. However, do not let the soothing surroundings fool you, a fair amount of effort is needed to scoot yourself around on the water’s surface, and most will find themselves famished and weary after this coastal excursion. 6. Fishing: No matter how you like to fish, you can do it in Costa Maya. Adventure seekers may find spear fishing right up their alley, and those who like to take it slow may prefer some fly fishing lessons instead. Regardless, coastal regions often have a heavy dependence on sustenance from the ocean, and as such, there is rarely a shortage of skilled fishermen to go around. Deep sea fishing may be a popular excursion as a part of many Western Caribbean cruises, but in Costa Maya, sticking near the shore is more popular with the locals and the tourists. 7. Restaurants and Bars: Eating and drinking are the number one thing to do while ported during a cruise for some individuals, and Costa Maya does not fail to disappoint in this regard, providing both authentic Mexican cuisine and popular alcoholic beverages to hungry and thirsty vacationers. Although many fine restaurants dot the trifecta of pavilions lining the Costa Maya Cruise port, the Lobster House and Bar remains one of the more popular. 8. Sailing: Hop aboard a catamaran and enjoy the scenery from afar. Bright sail adorned ships take passengers from the fishing pier to the area’s reef where guests are encouraged to snorkel if desired. Children as young as 8 can enjoy in the adventure and the entire journey is brief, lasting just under three hours. The catamaran tours are an exceptionally visual way to explore the area and afford visitors a way to leave the Costa Maya cruise port without ever really being too far away. 9. Off Roading: Whether by dune buggy or four wheeler, rough and rugged rides await adrenaline junkie guests visiting Costa Maya. Although paths exist, they allow for a rustic and bumpy ride along the coastal regions of the area, and these off road vehicles provide access to areas explorable by no other means. Guests slow down during their thrilling tours long enough to visit the tiny local fishing village and catch some beach time and refreshments before heading back to the Costa Maya cruise port. 10. And Finally Beach Time: It can be said that spending time at the beach is hardly an activity, but for individuals who have spent hours to days aboard a crowded and groundless cruise ship, some soft and warm sand might be just what the doctor ordered. As the Costa Maya cruise port was literally invented with ship tourists in mind, there is hardly a challenge to finding a comfy and sandy spot to relax for awhile. And those looking for a more sterile place to unwind will find the port’s duo of saltwater pools ideal.